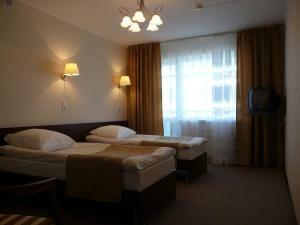 A-HOTEL.com - Luxury and cheap accommodation in Pervaya Rechka, Russia. Prices and hotel, apartment booking in Pervaya Rechka and surrounding. Situated 9 km from Eagle's Nest Hill and 12 km from Zolotoy Rog Bay, Apartment on Snegovaya 123 provides accommodation located in Vladivostok. The nearest airport is Vladivostok International (Knevichi) Airport, 49 km from the apartment. Apartment on Admirala Yumasheva enjoys a location in Vladivostok, just 7 km from Eagle's Nest Hill and 8 km from Zolotoy Rog Bay. Guests staying at this apartment have access to a fully equipped kitchen. Уютные АПАРТАМЕНТЫ на Юмашева offers accommodation in Vladivostok, 6 km from Eagle's Nest Hill. Guests staying at this apartment have access to free WiFi, a fully equipped kitchen, and a balcony. Located in Vladivostok, within 8 km of Eagle's Nest Hill and 9 km of Zolotoy Rog Bay, Hostel Green Duck features a shared lounge. All rooms feature a kitchen and a shared bathroom. Offering panoramic views over Vladivostok, the Granit Hotel features spacious rooms with a balcony and a fully equipped kitchenette. A range of breakfast options are available in the hotel’s cafe. Apartments Zhigura 26 offers accommodation in Vladivostok, 4.1 km from Eagle's Nest Hill and 7 km from Zolotoy Rog Bay. 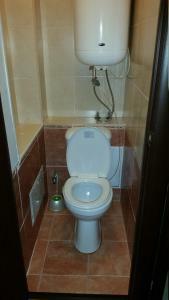 Sherlock Holl Hostel is accommodation in Vladivostok with free WiFi throughout. The nearest bus stop is within a 2-minute walk from the hostel. 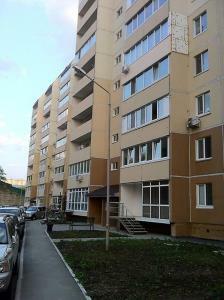 Situated in Vladivostok, 4.2 km from Eagle's Nest Hill, Apartments Allilueva 12a provides accommodation with free WiFi. Апартаменты Tobol'skaya Ulitsa offers accommodation in Vladivostok, 3.7 km from Eagle's Nest Hill and 7 km from Zolotoy Rog Bay. Situated 7 km from Eagle's Nest Hill in Vladivostok, VladApart - Apartment on Shoshina 5 offers accommodation with a kitchen. This property is 9 km from Zolotoy Rog Bay and has free WiFi. Featuring free WiFi throughout the property, Hostel Kolizei na Narodnom offers accommodation in Vladivostok, 2.2 km from Zolotoy Rog Bay. Hutorok Inn is set in Vladivostok and features a bar. 7 km from Zolotoy Rog Bay, the property is also 8 km away from Eagle's Nest Hill. The Slavyanska Hotel is situated in Vladivostok, a 10-minute drive from the city centre. The hotel features a sauna, 24-hour reception, and a flat-screen TV in each room. Situated in Vladivostok, within 3.9 km of Eagle's Nest Hill and 7 km of Zolotoy Rog Bay, Lampa Hotel features accommodation with a bar and free WiFi. Offering a terrace and city view, VladApart - Apartment on Yuzhno-uralskaya is situated in Vladivostok, 6 km from Eagle's Nest Hill and 9 km from Zolotoy Rog Bay. The accommodation has free WiFi. Located in Vladivostok, just 3.1 km from Eagle's Nest Hill, Apartment on Narodnyy 41 features accommodation with free WiFi.